I had a problem. There was no handle in the box. I called and you sent a replacement. I received it on June 7th. I opened it up and put it in my bathroom right away. Now I'm just waiting for the soap dispenser to complete my cat bathroom. All I need now are cat towels. Do you have any cat back towels? Seems like it is sturdy and will be a good buy. Little bit smaller than expected but overall nice. the toilet brush that came with these...i ordered two....is very short and can't be used....where is the long one pictured n the ad? This is a very cute product but the space for the brush is entirely too small! It doesn't make cleaning the toilet bowl easy or even really possible! Plus you have to assemble the brush yourself. I had a cat that looked like that . Looks great in the bathroom. I love cats also this is nicer to look at than a toilet brush just laid in the floor. I bought two of these to give one to my daughter in law. She loves cats too. I love cats and need this! I am a cat lover and have 2 cats of my own. Looking for a perfect way to hide an unsightly item. I'm a cat lover and found these kitties delightful...looking forward to having them in my powder room! I have one of these myself and have now given two as gifts. Something necessary for the bath that also brings a smile. because I wanted a toilet brush holder. I woud have preferred one in another colour. Pink preferably. 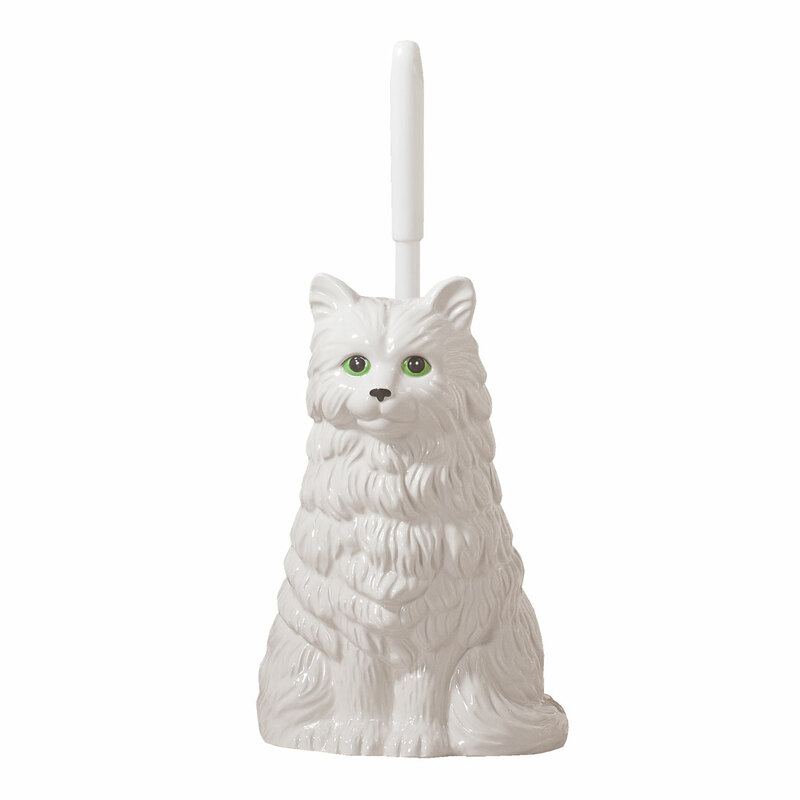 Needed new cat toilet brush holder. I love cats! So adorable! A must have! I OWNED ONE SIMILAR YEARS AGO.